Microsoft has recently launched its Office 2019 package, which includes updated desktop apps for Windows and Mac. The whole suite has been upgraded from the previous 2016 version to fall more into line with the current Office 365 features. Office 2019 will be a one-time purchase for a single desktop device running Windows 10, as opposed to Office 365 which is paid for on a monthly subscription. The uses are virtually identical, except for some small inconsistencies. For example, Office 365 is run in the cloud and can be accessed from one PC, tablet and mobile phone per license. The latest revisions is available on Windows 10, as well as the latest three versions of Mac OS. This version of Microsoft Office is not supported by Windows 7 or 8, so businesses and individuals holding on to these operating systems may begin to feel the strain of running on outdated systems. General support for Windows 7 will be withdrawn in January 2020, so Microsoft is working to push those still using this operating system to the latest and most secure Windows 10. We have gathered information about the new features for Windows and Mac users which focus on design, productivity and accessibility. The full comprehensive list can be found below. Some of these features have been available in different Office applications or version before, but are new to others. The icon with each feature indicates which application it is new to in Office 2019. Add visual interest to your work by inserting SVG files with filters applied to them. Quickly translate text between languages using Microsoft Translator. Find files sent to you as an attachment through the ‘Shared with Me’ feature. Bring your documents to life with fully rotatable and animatable 3D images. Easily create maths equations using LaTeX syntax in Word documents. 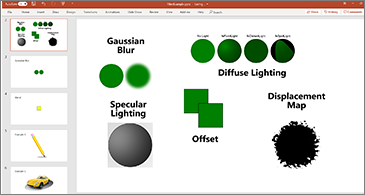 Morph can make animations and transitions seamless throughout your presentation. Jump to any slide you like without affecting the flow of your presentation. Create an event with start and end times in different time zones at the press of a button. Add an online video so you can watch without leaving your presentation. International accessibility standards support to make files more accessible than ever. Change page colour, column width and text spacing to improve readability. Use your surface pen or any other with a bluetooth button to control slides. Integration for TEXTJOIN, CONCAT and IFS functions, as well as many others. Set the swipe left and right gestures to suit your preferences. Audio cues can be used to guide you as you work, playing sound effects to aid navigation. Draw shapes, highlight text or write words and they’ll be converted to text or images. Deselect unnecessarily selected cells in Excel without having to start over. Apply a timeline filter to PivotTable data to narrow data range. 11 new charts have been added to help you to visualise your data in Access. Add icons to your documents to improve the aesthetic aspect of your work. Efficiently calculate large non-monetary numbers with the SQL_BIGINT data type in ODBC. Select a cell in Predecessors or Successors columns to see a list of project tasks. Add task names and dates to stay up to date with current progress. Build low-fidelity website sketches to present ideas before thorough design work. New starter diagrams to save time when beginning a new chart. If your business is looking to upgrade to Microsoft Office 2019 or migrate to the cloud with Office 365, SeaBro IT can support your infrastructure through the whole process. Get in touch to find out how we can help to reinforce your infrastructure.